For ages, the meaning and mystery of Stonehenge has alluded us. How were those big stone moved together? 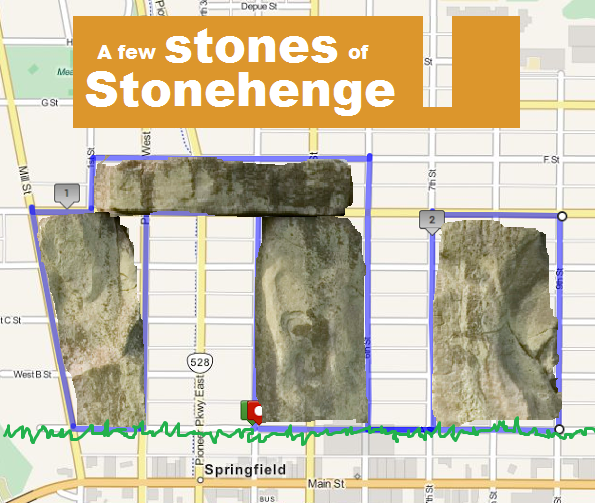 And recently how did four rogue stones move themselves aaaallll the way to Downtown Springfield?! This Thursday let’s ride the ‘henge! 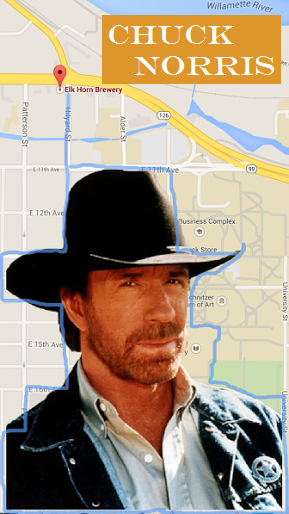 Eugene folks, we’ll meet in the middle of the Autzen Footbridge at 7pm. Springfield folks, you can meet up with us at 7:20ish at the Abbey (Claim 52’s Tasting Room at Sprout! Regional Food Hub on 4th & A Street). We’ll shape the rocks (and rock the shape), finally looping back to The Abby for some brews around 8pm. 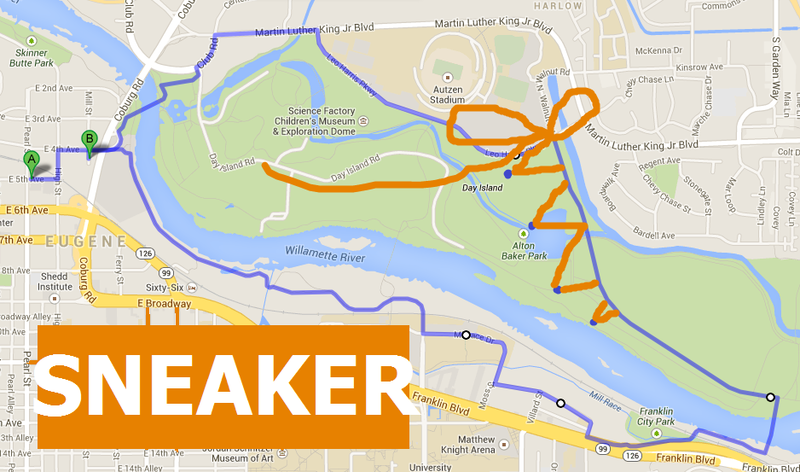 See you this Thursday at 7pm at Autzen Footbridge! Put a fork it in…let’s kick fall off with an ode the Middle Fork of the Willamette. 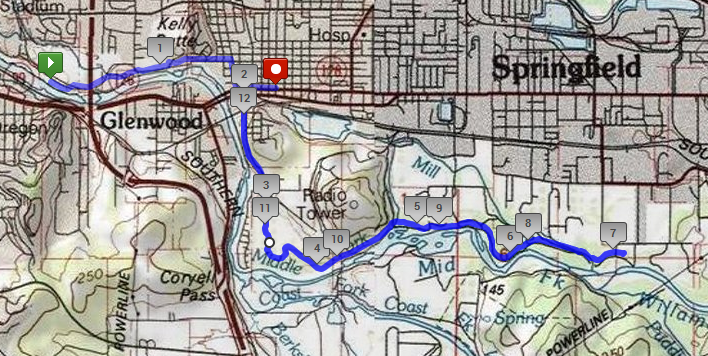 We’ll ride the newly opened middle fork path starting at the Autzen Footbridge at 6:30pm and head down the Willamette, crossing south through Springfield down to Dorris Ranch and parallel the “Fork” to Clearwater Park, before heading back to the Growler Underground in Downtown Springfield around 8:30. This ride is a little longer (13.7 miles / 1.5 hours) so we’ll get an earlier start than normal. It doesn’t really look like a “shape,” right? Ah yes, life happened this month and I didn’t gather time for “shaping.” That said, I’m sure the purr of the Willamette combined with the technicolor foliage will more than make up for absent photoshop cosmetics of yours truly. :) Shapeless it is! Grab on to your handlebars & handlebar mustaches, it’s time for the yearly abuelo of all Bike in Shapes…the Tour de Shapes (aka a longer summer weekend ride). 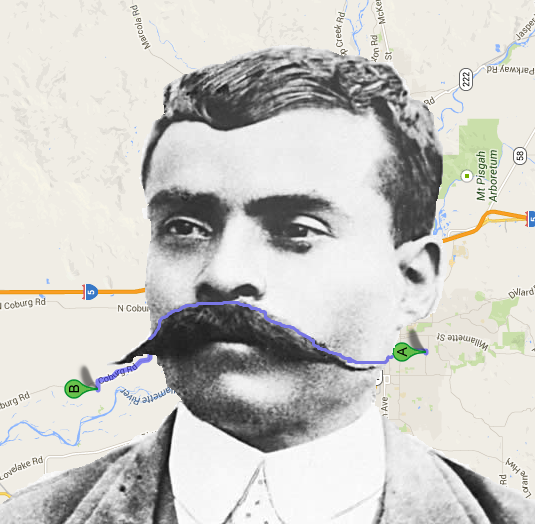 Next Sunday, we’ll start from Arriving By Bike at 11am, and trace Zapata’s Mustache out to Agrarian Ales in Coburg. Viva la peddling revolucions! 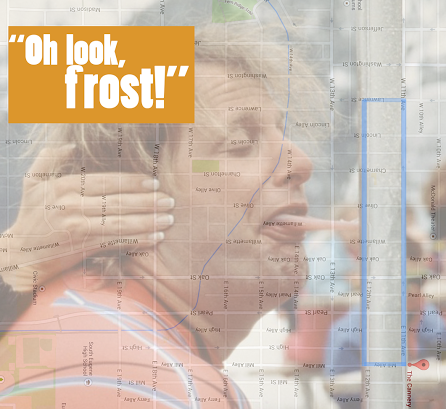 Pre-pare for the total Track Town, Bike Town, Brew Town experience, all gargled together in the Sneaker shape. We’ll start at the Tap and Growler, next Wednesday, 7pm. Let’s skirt the river, jogging our bikes through Pre’s Trail, and tagging Glenwood as we u-turn back along the south bank. Fast-forward to the Willamette Valley in 2014: this June, we will unearth the Key of Fermentation, and funny-enough, its in a shape we can bike-trace! Imagine that. 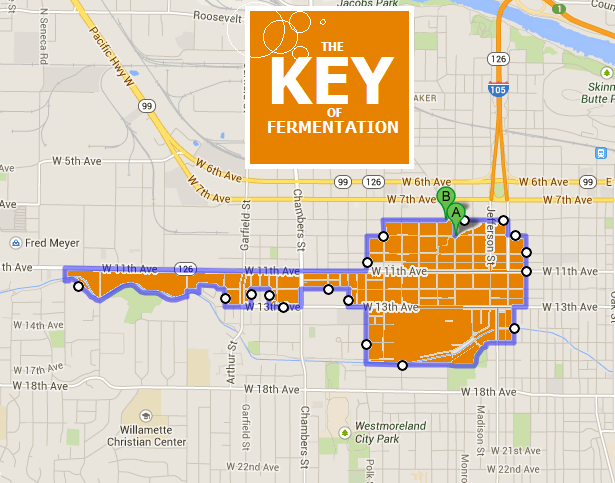 Let’s meet at NE corner of Monroe Park on Thursday, June 19th, at 7:00pm, and unlock The Key of Fermentation, along the Fern Ridge Trail and concluding at Claim 52 Brewing. Thanks to Claim 52 for hosting us and staying up a little later!